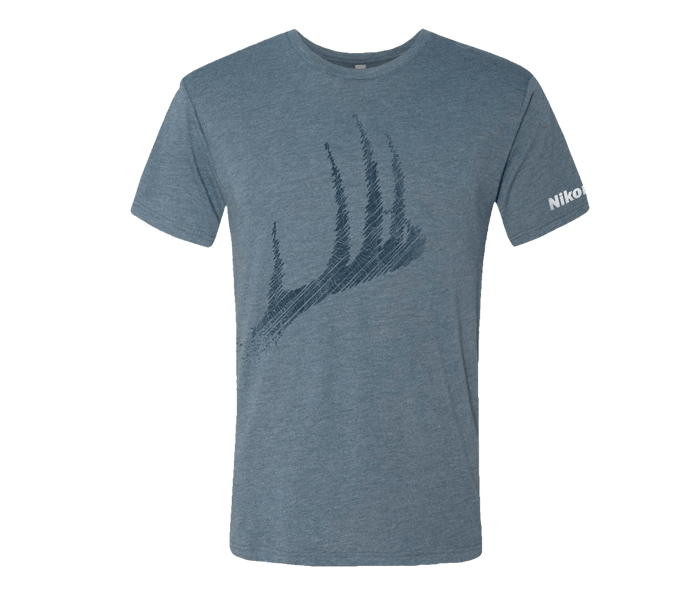 Indigo Blue Tri-Blend Crew shirt with Antler Graphic on front and Nikon logo on left arm. Back shows Nikon logo and ‘Since 1917' just below collar. Modern cut, true to size. 32 Single Poly/Cotton/Rayon Jersey 145g 4.3oz 50% Poly 25% Combed Ring-Spun Cotton 25% Rayon. Tri-blend has a heather look for all colors. Satin label. Comes in S, M, L, XL, XXL and XXXL.